A: Birth doulas help pregnant women and their partners during their babies’ births by providing practical, informational and emotional support. 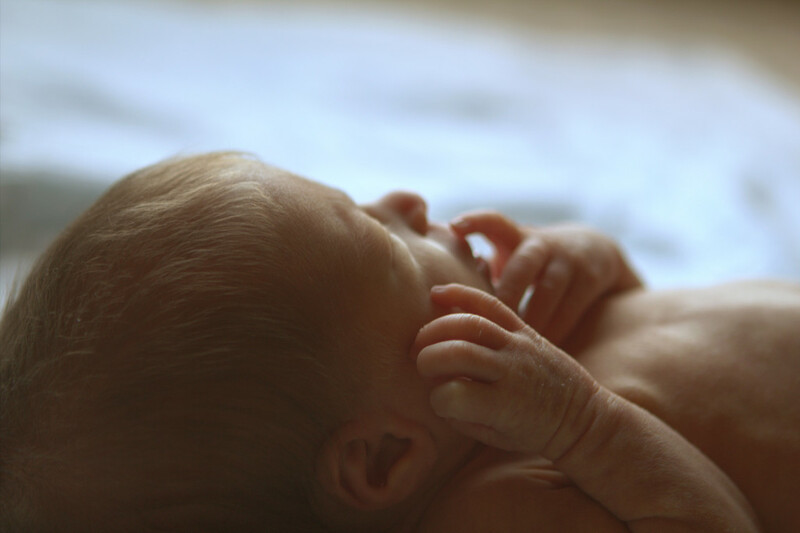 This individualized support is provided for all types of births and choices, including “natural” births and those using medical options such as epidural. It helps couples advocate for themselves and results in positive and satisfying birth experiences and memories. Postpartum doulas assist parents during the life-changing transitional time that follows coming home with their new addition. Doulas help mums and dads gain with the skills, experience and confidence that decrease the stress and exhaustion that can impact the joy of this important time. Q: How is that different than a midwife? A: Midwives, much like OBGYNs, provide medical care for woman during their pregnancies and their babies’ births. Midwifery training focuses on pregnancy and birth as a normal part of women’s life experience. In contrast, doulas do not provide medical care; rather, they help clients navigate the myriad choices they encounter through the process. Doulas also offer expert guidance about addressing the physical and emotional realities of childbirth and the postpartum period, and about what the diverse spectrum of “normal” looks and feels like. Q: Do you only do home births? A: No, the vast majority of our clients chose to have their babies in the hospital. Q: Why do people hire a birth doula? A: Studies show that women who have doula support during labor and birth have more satisfying birth experiences. Anecdotally women and their partners report that having doula support was a key factor contributing to their empowered, positive and satisfying experience. Q: What if I intend to have an epidural? Stork & Sprout provides support for all kinds of births. Whatever your choices, we provide assistance to navigate the myriad situations and choices during your labor and help your experience be the very best it can be. We support women laboring with and without medications, and those who meet their babies via cesareans. Stork & Sprout believes every woman and her partner can have a more positive experience with support. In addition, guidance and suggestions with such things as positions to continue labor progress can be invaluable in all different types of birth scenarios. Although nurses may provide some labor support, their job requirements as part your medical team do not allow for dedicated support. It is the focused continuity of care that is one of the greatest benefits a doula can provide to a laboring woman and her partner. Q: What about my partner? Some couples are concerned that having a doula will displace the partner or interfere with the intimacy of the birth experience; however, having birth doula support helps make sure that the partner’s needs are also met (e.g. food, drink, reassurance and answers to questions). The doulas experience and “tool kit” enables each partner to participate at their own comfort level, reducing the stress and allowing couples to feel closer and more connected throughout the experience.The partner may or may not want to be the major source of emotional, physical and information support for the woman. Every couple has their own dynamic and expectations about how doula support will fit best, and this is one of the important topics discussed during Stork & Sprout’s prenatal visits. Q: How does the doula interact with the medical staff? A: Stork & Sprout’s purpose is to empower women (and their partners) before and during labor to ensure a positive birth experience. Our fundamental goal is to eliminate any tension during this amazing journey. As such, our doulas do not advocate for you (or your partner), but instead help you advocate for yourselves through information and assistance in determining the options available to you. It is this fundamental philosophy that has resulted strong and ongoing support from medical staff. Given this, Stork & Sprout takes pride in the direct referrals it receives on an on-going basis from well-known and highly respected doctors, midwives, and nurses. Stork & Sprout’s team approach provides for one identified birth doula to be on-call at any given time, with shifts that are typically 24 hours long. Each client is assigned a team member as their primary contact to send updates to and/or call when labor has begun. Once labor support is needed, the doula that is on call comes to the client and provides labor support through their shift. Should your labor extend beyond a team member’s shift, a new refreshed doula will take over and provide new energy and fresh support to you and your partner. Our team approach allows us to service multiple clients a month and provide high-quality labor support, regardless of the length of your labor and delivery. Postpartum clients benefit from Stork & Sprout’s team approach by gaining access to multiple highly trained and experienced doulas, each of whom offer personalized, individualized suggestions that help each family through the first few challenging weeks with a newborn. Multiple team members also help ensure that you will have care you need, even during cold and flu season (which sometimes impacts even the most hearty and healthy doula). Q: What sort of postpartum services do doulas provide? A: Stork & Sprout provides in-home support during the baby’s first six weeks. Postpartum doulas help women with breast and/or formula-feeding and understanding their changed (and changing) post-pregnancy bodies. While we focus on helping parents master newborn care and soothing skills, we also prioritize helping parents get much needed rest during this often sleep-deprived period. A: Postpartum doulas are not licensed or registered nurses; rather, they are paraprofessionals who undergone specific training and have extensive experience and with families from a variety of backgrounds. The role of a postpartum doula is to help a woman through her postpartum period and to nurture the family. Unlike a baby nurse, a doula’s focus is not solely on caring for the baby, but on fostering independence for the entire family. The doula is available to the partner and older children in addition to the birth mother and the baby. Treating the family as a unit and always changing enables doulas to provide support, guidance, and nurture the entire family.